A 4,250 miles, 6,838 kilometers, bike-ride from Astoria, Oregon to Yorktown, Virginia. 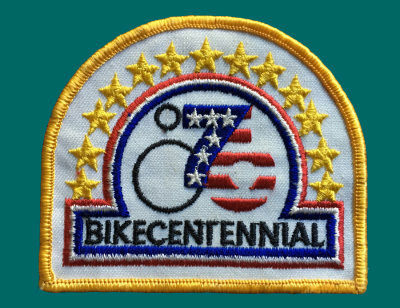 Bikecentennial the grandest touring event in the history of the bicycle. 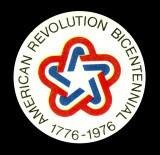 and the 100th anniversary of the introduction of the bicycle to the United States of America. Schavemaker) inhabitants of a little town Warmond, near Leiden in The Netherlands. Every day a new adventure. Every tour opens the eyes, the heart and the mind. Tailwinds! What a nice collection, Marjan! I did enjoy watching these old photos! V.
What great memories this brought back! Looks like we may have left at the same time. I had an older man in my group from Holland, but I can't recall his name. Great document. Must have been quite an adventure. a really fun gallery and well documented trip. thanks for sharing it. wow Marjan, wat goed zeg, je bent geen spat veranderd. Petje af voor de reportage en de trip. So great memories. It is good that you uploaded the photos!! I recall the event, and the good old days which they were. This gallery is deserving of it's own site, thanks for the memories. Wow! what an adventure this must have been. I can't imagine driving a vehicle that distance let alone riding a bike. Thanks for sharing these great photos. Hey Marjan I am most impressed that you can bike these distances and log it so wonderfully with a film camera at the same time. Jeddore is a nice place and you captured the old wooden lobster traps nicely. WOW! The freewheelin' Dutch Pack! What an adventure! Those were the days! I envy you so much!